I baked these donuts in the oven using my Wilton donut pans. They are the regular sized donuts, not the mini ones. 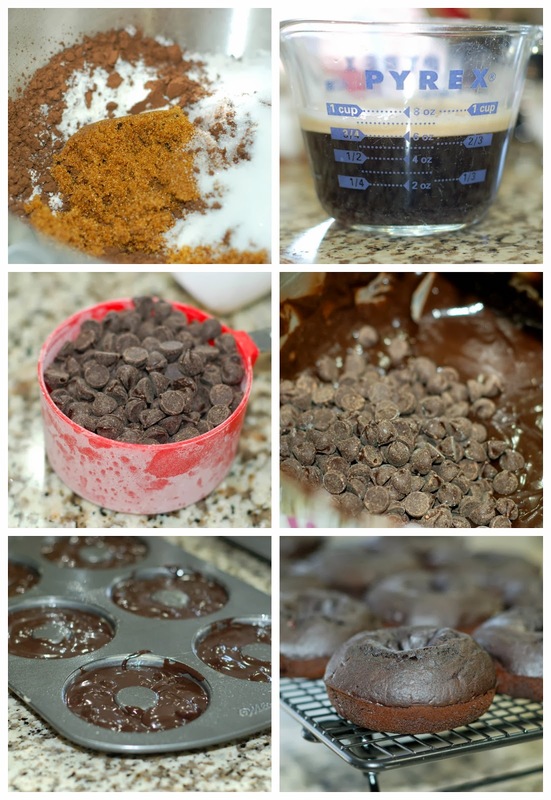 I actually adapted my recipe for Mini Chocolate Oreo Donuts to make these. Like the Dark Chocolate Guinness Cookies I made the other day, I used dark brown sugar, dark cocoa, and dark chocolate chips. 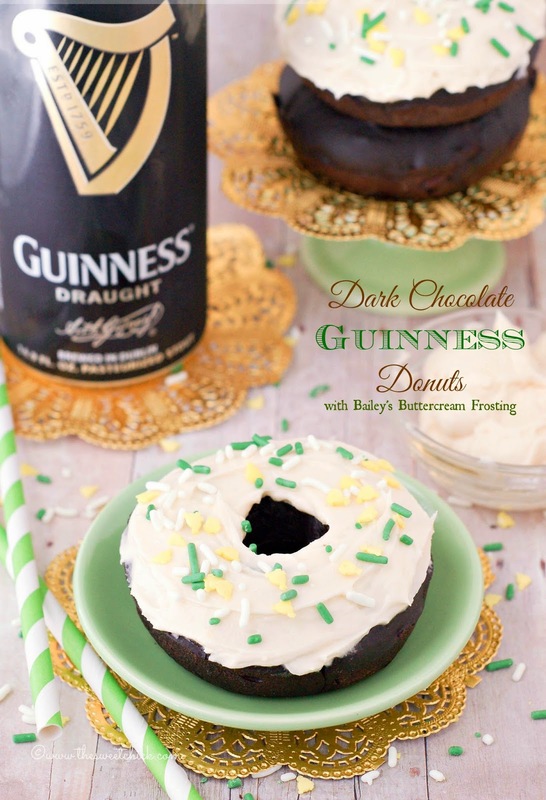 Dark chocolate and Guinness are just the best of friends. The frosting was super easy to make and it had the most delicious flavor without being too sweet. It paired well with the moist chocolate donuts. 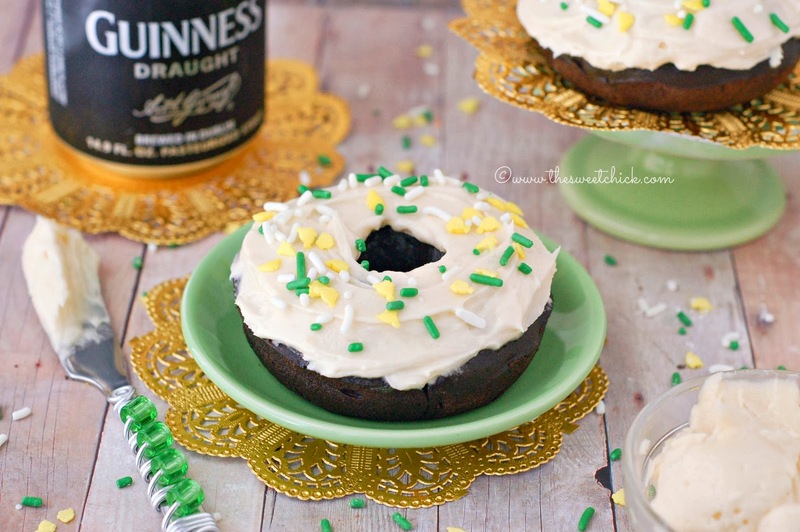 I got a lot of great compliments from my neighbors on these Dark Chocolate Guinness Donuts. The only ones that were not happy were the kids. They couldn't eat the donuts because of the alcohol content. But I usually sugar up the neighborhood kids with my other treats, so now it was time for the adults to enjoy. 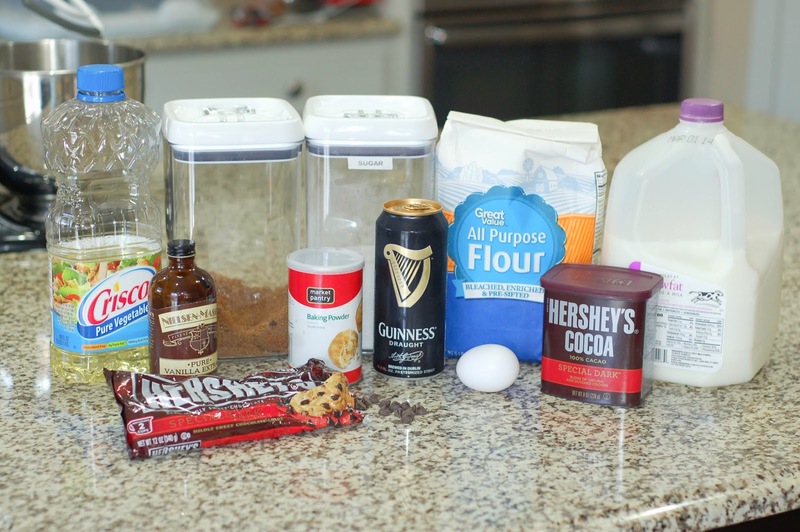 What kind of treats are you making for St. Patrick's Day? In a stand mixture combine the flour, cocoa, sugars, and baking powder. Mix on low until well blended. Add egg and beer, mix on low until completely mixed, scraping down sides of bowl as needed. Then add milk, oil, and vanilla extract and continue mixing until fully incorporated. Finally, add chocolate chips and mix just until well distributed. With a spoon or a Ziplock bag with the tip cut off, fill each well of your greased donut pan with the batter. You want to fill it just a slight bit less than flush. Place pans in the oven and bake for 5-7 minutes or until a toothpick inserted in the center comes out clean. Remove from the oven and place donuts on a cooling rack and cool completely before adding frosting. 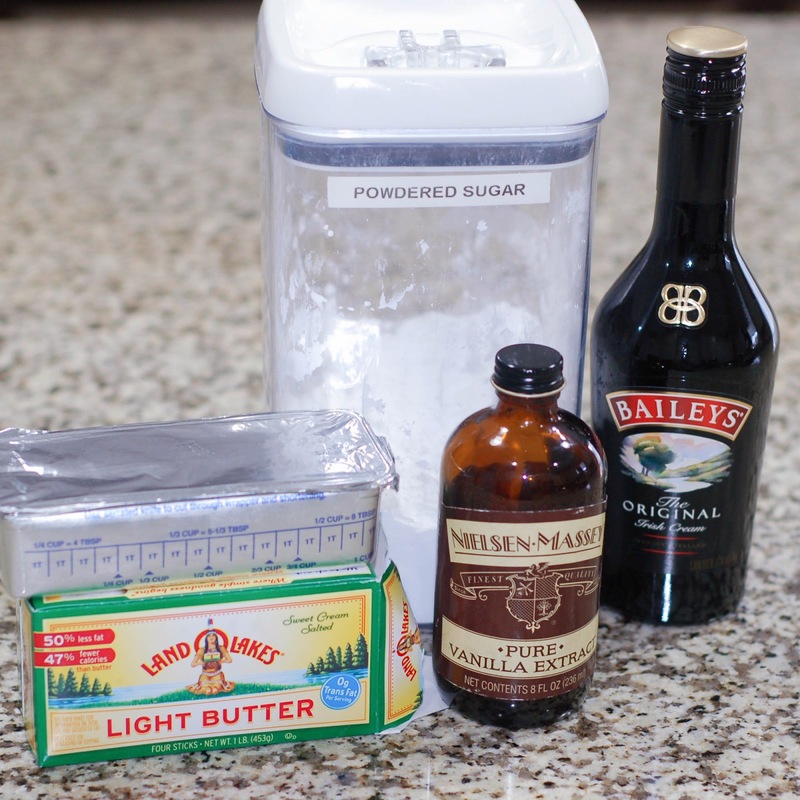 In a stand mixer, cream together the shortening and butter. Then add sugar and mix on low until well blended. Next add the Bailey's and vanilla extract. Mix on medium speed until smooth. Frost each donut with a spatula and add sprinkles if you want. Donuts can be left at room temperature in an airtight container. I placed mine in the fridge because it was a very hot day here today, but I left them out at room temperature for a while before eating. They taste better at room temperature. Holy deliciousness! 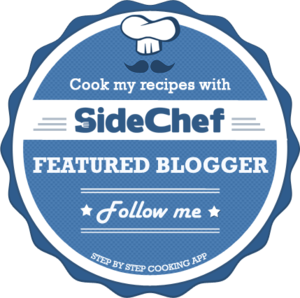 Definitely saving this recipe for the upcoming holiday!